The simple yet hugely impactful sentence served as a poignant reminder of a lifetime's struggle. The speaker, who gave his name only as Trevor, stood before hundreds who had gathered in Brixton to protest the plight of the "Windrush generation". His voice cracking with emotion, he told those gathered in a hushed silence in Windrush Square: "I have been here since 1958. My child is 51 and I'm still trying to get a passport." Home Secretary Amber Rudd resigned following a growing scandal over the men and women from the Caribbean who arrived in Britain in the 1950s and 1960s, but in recent years have been labelled illegal immigrants despite having lived here for decades. The besieged politician had been under pressure to step down over the affair, after allegations that members of the Windrush generation – so named after the ship that brought hundreds of Caribbean migrants to Britain, and Brixton – had been refused medical care, denied housing and threatened with deportation. Trevor's touching testimony was delivered, fittingly, at a place that was renamed after the Empire Windrush vessel. Indeed, a memorial to the African and Caribbean soldiers of World War one and World War Two was unveiled in the square a couple of years back. it is certainly meritorious – an estimated two million African-Caribbean soldiers fought in both world wars. The sculpture is formed of two 6ft long obelisks, with a combined weight of just under five tonnes. At the time, the then Defence Secretary Sir Michael Fallon said the "recognition today is long overdue", adding: "I hope this memorial will remind us of the ongoing contribution of our African and Caribbean communities to our country and to the defence of our country." Of course, the ongoing scandal brings Windrush Square into sharp focus -- so what is the recent history behind this iconic venue in the heart of Brixton, just a short distance from our offices in Arlington Parade, Brixton Hill? Well, it was "created" in 1998 for the celebrations marking the 50th anniversary of the initial wave of 492 immigrants, who went on to form the British African-Caribbean community, soon settling into the area after initially being housed in Clapham South. The community grew and, to an extent, flourished in their new homes thanks to various work opportunities being available at a job centre in Brixton's Coldharbour Lane. Over the years the square became a bit tired and less than welcoming and was even sometimes referred to by unforgiving locals as "Jurassic Park; and so, it was that the powers that be deemed a face lift was appropriate. 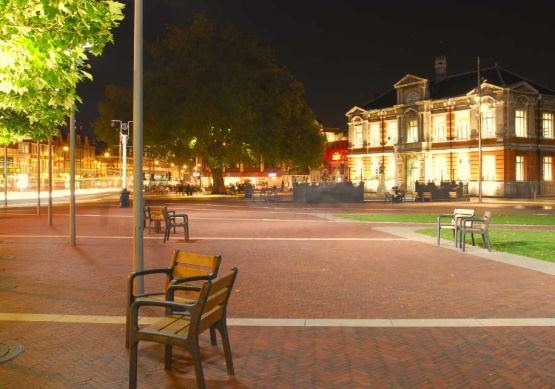 The revitalised square was officially opened by Boris Johnson, the then Mayor of London, in 2010. Some thought was given to re-naming the refurbished space but locals rejected the plan and the mantle remained. How appropriate. Now, perhaps more than ever, Windrush Square symbolises a struggle that has yet to be won.